A marriage certificate obtained by Charles Brain shows a Harriott Gidley, daughter of William, marrying a Henry Coleman, son of John, in 1847. Both were living in Dean Prior at the time of their marriage. Many thanks to Charles for this. In 1861 Henry and Harriett Coleman are living in East Street. Henry, an agricultural labourer, was born in Bickington and his wife was born in Dean Prior. 11 year old John is living with his parents, together with his brother and four sisters, the youngest being Susan A Coleman, aged 6 months. The family are in Kingsbridge Lane in 1871. Six children are with Henry, an ag lab, and Harriett: Mary, William, Susan, Ellen, 2 year old Jessie and Samuel, 7 months. Ellen Coleman, 7, probably married William Milton in 1882. 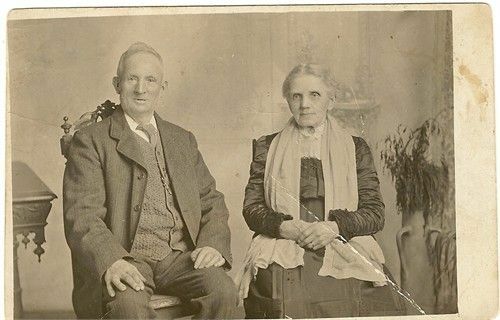 Harriet Coleman died aged 68 in 1895, and Henry died aged 75 in 1900. Both were buried in Ashburton churchyard. 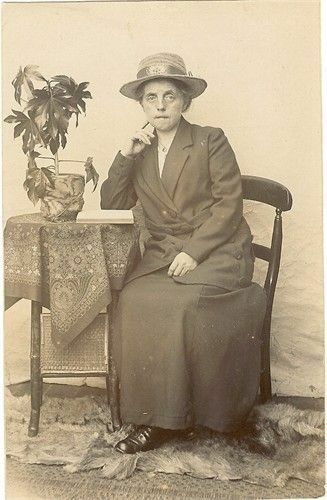 Their daughter Jessie Coleman was unmarried in 1901, and living in Whittington House, Stepney Green, Mile End Old Town, London. Aged 32, she was a domestic housekeeper. 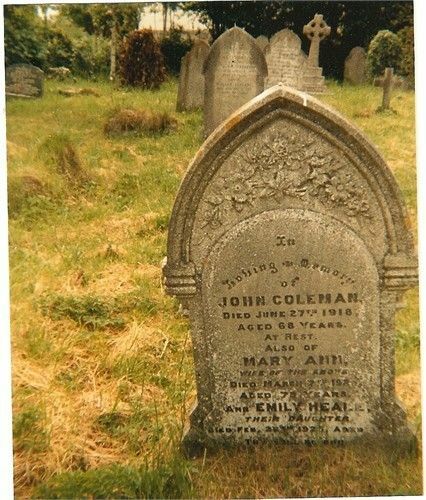 John Coleman married Mary Ann Heall [sic] in the June quarter of 1870. 1871. John and Mary Ann have a 7 month old daughter, Emily*. 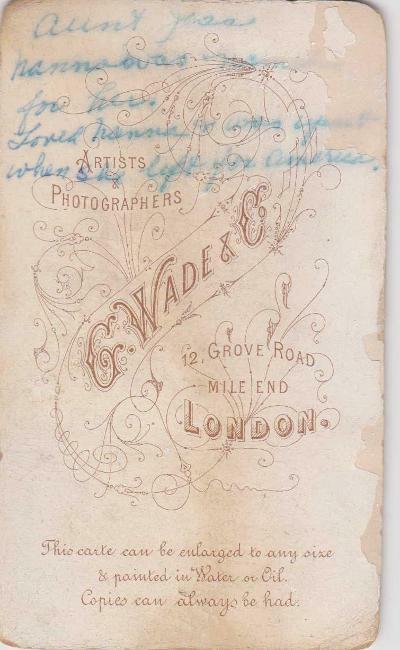 They are living in Kingsbridge Lane in 1871, next door to John's parents, Henry and Harriett. 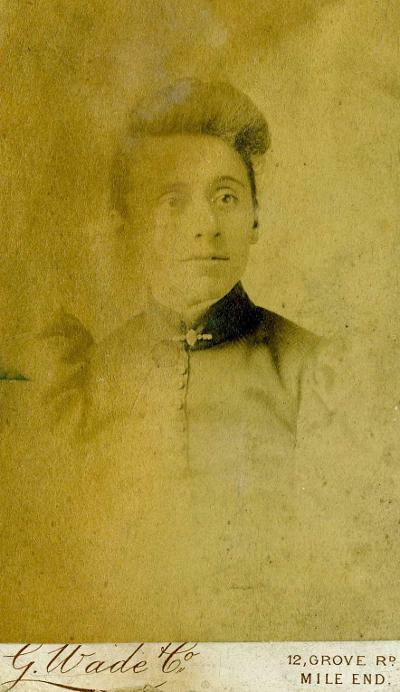 *Emily Heale Coleman's birth was registered in the September quarter of 1870, with the mother's surname as Heale. Emily was up before the beak when she was 16 for assaulting an Edward Lear with sheep shears. Emily may have been slightly slower than her sisters as she comes across as such. She never married and lived with her mother up until her death. On her death certificate her occupation is that of Caretaker of Chapel. Left: John, Mary Ann (nee Heale) with their daughters and their son Frank Louis Heale Coleman. The order of the daughters is uncertain except for Emily Heale (far right) and the little blond haired girl beside her, Elsie. Elsie was Emily's child, but Emily was unmarried and John and Mary Ann seem to have raised Elsie as their own daughter. 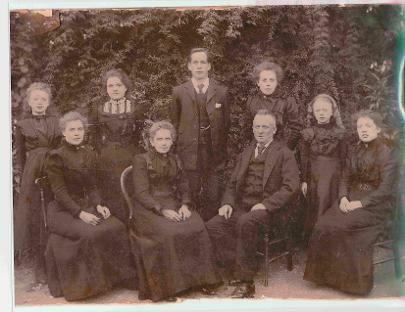 From left to right the family are believed to be, back row: Alice Maud, Laura, Frank, Ellen, Elsie, Emily; front row: Elizabeth Ann (next to her mother). By 1901 they were living in Station Cottage, Church Lane–the census shows John, an agricultural labourer, as head of family with his wife and three of his children: Emily, Frank and Alice. Elsie, the daughter of Emily, is shown as the daughter of John and Mary Ann. All of the family were born in Ashburton. They had also lived in Kingsbridge Lane at one stage. Their son Frank lived with his wife Jennie in Gullwell cottages; Frank was a stone mason and in 1911 went to America. The 1911 census shows that the family is still at Station Cottage. Emily Heale Coleman and Elizabeth Ann are with their parents John and Mary Ann. There is also a five year old granddaughter of John and Mary Ann, called Eva Mabel. John's occupation is that of a coal porter (crossed out, and 'cart' inserted). John died at his home, Station Cottages, aged 68 in 1918. His obituary in the Western Times described him as a well known Ashburtonian, who had died after a long illness. The first part of the funeral service took part at the Wesleyan Chapel where he worshipped, and Mr Osborne ( the Portreeve ) and Mr J Mortimer (headmaster of the Grammar School) were amongst the congregation. 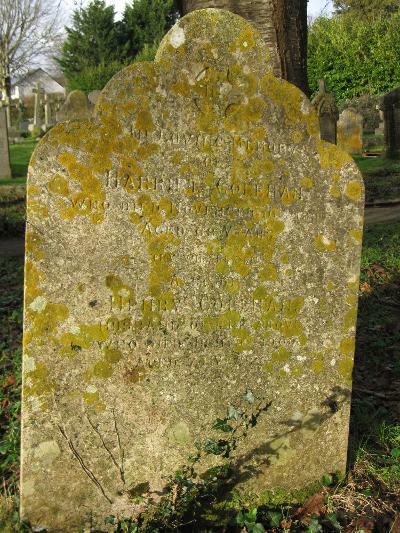 The mourners included his daughters: Miss Coleman, Mrs Farrant, Mrs Cook and Miss Alice Coleman; his sister Mrs Pepperal from Kingswear; his brother-in-law Mr L Heale; his niece Mrs Parkhouse; and his cousins Mrs Storey and Mrs Hamlyn, both from Ashburton. Frank Louis Heale Coleman, born 6 August 1883, Ashburton, had a US passport issued to him on 19 June 1920. His residence at the time was Hartford, Connecticut. National Archives and Records Administration Series: Passport Applications, January 2, 1906 - March 31, 1925; Roll 1264 - Certificates: 55500-55875, 18 Jun 1920-19 Jun 1920 Ancestry.com. U.S. Passport Applications, 1795-1925 [database on-line]. Ellen Coleman married Frank John Herbert Cook.